I have been using and Ipad in my classroom for almost 2 years now. I was asked to present to staff how I have incorporated ipads into my grade one classroom. I wanted my session to focus on the projects that my first graders have done, it is not just about the apps. The apps are a tool to achieve an outcome! When I sat down to plan my presentation I wanted to make sure some basic ipad skills were taught as well. And of course what would an ipad presentation be without sharing of apps! What skills did I teach? Searching for apps you know you have... but where? 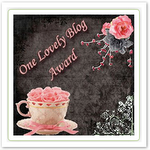 All the ones I blog about of course! Of course I asked them all to follow me here! So welcome if you joined! And I shared the site I follow to find amazing new apps! And what is a presentation without getting a little personal????? I shared my ihealth blood pressure monitor and my Weigh Watchers app My Score Plus. So in a nutshell, that was it and it was fun. I know a few left inspired, a few left itching to buy their own ipad and others left with the notion that "hey, maybe I can do that!" iPad is the best friend I've ever got just Hold it in your hand and you are hooked by its size, feather weight and sheer quality. Apple was late with the iPad mini but in my view they really have hit the spot.